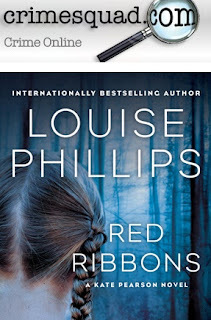 Louise Phillips Writer: CRIMESQUAD...I cannot recommend this highly enough!!! CRIMESQUAD...I cannot recommend this highly enough!!! "Phillips maintains the tension with Red Ribbons, a deeply satisfying crime debut. Rich in atmosphere with a complex plot that really does keep you turning the pages and a list of compelling characters. I cannot recommend this book highly enough..."